Cityscape images of Madrid, Spain. 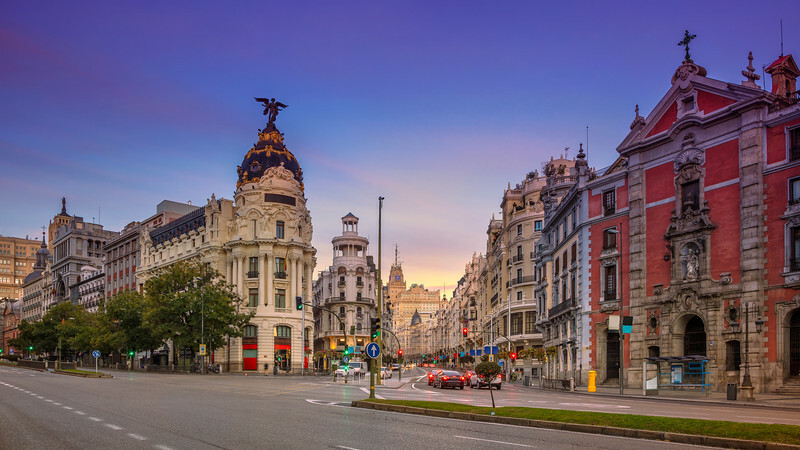 Panoramic cityscape image of Madrid, Spain during sunrise. I love this photo! The thing is all the pictures of my living room are black and white. I would be possible to get this photo in black and white? Thank you very much. Best regards. Albert.